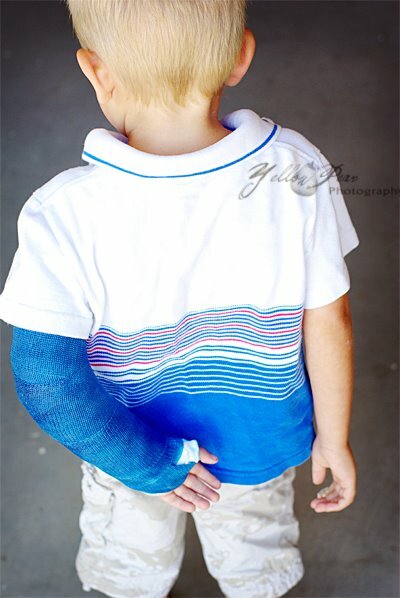 He got the cast...in blue...no orange was available. He wished for me to take pictures from every angle. The Doc said he probably broke both bones and that one of them is bent. How one bends a bone I am not sure. They hope that as he grows, it will straighten. I hope as well. If you notice, he has a hurt finger...it got smashed in a rock-stacking accident. Obviously he's had some slight trouble pulling up his pants and other such things that require more than 3 good fingers and a thumb. But the bandaid should be able to come off much sooner than 4-6 weeks, and he'll have at least ONE good hand/arm. And unrelated, but news just as well...Q is crawling! I can't believe it. It's a modification of the army/customary crawl...but it works and he moves. Aaaack! Bendable bones huh? Sounds like game. Good thing you got pix of his cast. I've missed all kinds of things. So sorry! 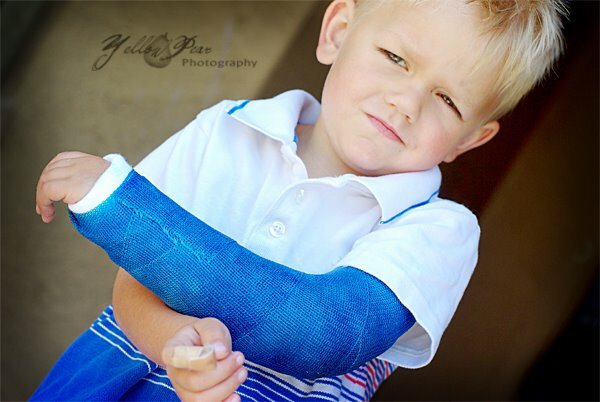 Ty's cast was blue too - brings back memories! He is cute with or without the cast though. I'm just sad he doesn't look as excited as he did with his sling....maybe you can bend the bone back? Also I am sorry about the crawling incident :). 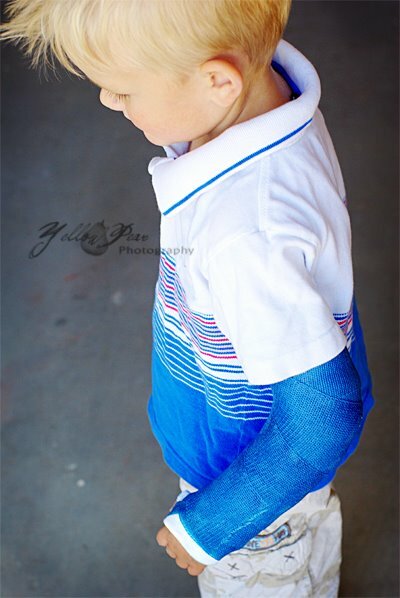 That's a good lookin boy in a good lookin cast! I want to see pictures of it in 4-6 weeks :) The thought makes me smile! I love all the angles. ROck stacking that is in the top 10 most dangerous activities for kids under 10. He was lucky to get away with just a hurt finger. Poor guy, all boy. little man... :( He does look super cute! Love all the angles! Orange would have been cool, but blue is AWESOME! Love that is matches his shirt! His poor finger too! Oh Dennis! Dennis, I had blue too! They didn't have the color I wanted either. It won't take long before you know it it will be off.